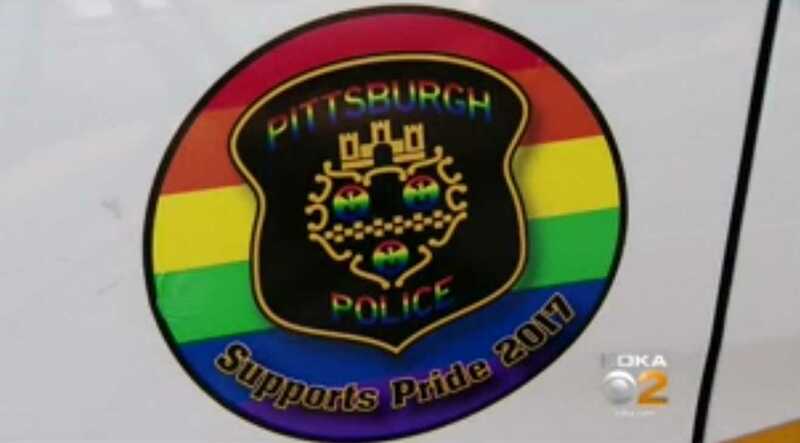 PITTSBURGH, Pa. — The chief of the Pittsburgh Police Department and the Fraternal Order of Police are at odds in their opinion over “LGBT Pride Month” stickers that have been affixed to patrol cars. According to local television station KDKA, Police Chief Scott Schubert believes the stickers—which read “Pittsburgh Police Supports Pride 2017″—show that the department is supportive of diversity within the community. “We want to be an inclusive police department. An inclusive city,” he told the outlet. But Fraternal Order of Police President Robert Swartzwelder said that the stickers could be controversial in that they take one side of an issue. “We have a variety of taxpayers in the city of Pittsburgh with different viewpoints, which can create controversy if support for different events is shown,” he stated. Shubert said that he found Swartzwelder’s remarks to be appalling. The pride month stickers are one of nine that were approved by the police department as others will include Police Memorial Week and the Special Olympics. Pittsburgh, however, is not the only city displaying rainbow pride stickers on its vehicles this month. The Houston Police Department in Texas has designated one of its patrol vehicles as a “pride car” for the city’s annual homosexual pride parade. “By actually participating … we send a very powerful message that we’re an inclusive department where every segment of society is welcome, is respected, and will be protected by the Houston Police Department,” Chief Art Acevedo told the Houston Chronicle. But some within the department haven’t been pleased with the idea. “Our duty is to protect and serve, not participate in an event that completely goes against our religious beliefs,” one commander, who requested to remain anonymous, told the outlet. The Louisville Police Department in Kentucky likewise covered one of its patrol vehicles with rainbow lettering and a heart that reads “LMPD Pride” for this month’s Kentuckiana Pride Festival. However, some have found it interesting that while police departments can express support for homosexual causes on their patrol cars, in recent years, many have caved to demands to remove decals quoting Scripture.